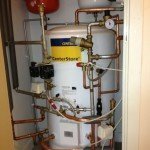 At Pass and Totterdell Plumbing, Heating and Gas Services no job is too large or too small. 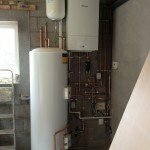 We cover everything from a dripping tap to full Central Heating System Installations. We cover all of GL, BS and further. I would not hesitate to recommend this firm. We have used them over many years, in several properties. Our boiler wasn’t working properly - the pressure was building up too much and then it cut out. Despite several visits to replace leaking valves, pipes and the pressure gauge it was still not working. Mark and Joe stuck with solving the problem - determined to sort it out. After a hi-tech process involving a heat detector gizmo they discovered the cause of all the disruption... A small hole in a pipe in the roof. Quickly it was mended and then... Hey presto the boiler worked wonderfully again, radiators heated up and everyone was happy & very relieved! 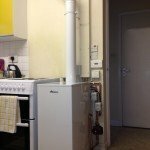 This company does my residential heating services and maintenance- always fast to respond, options given to fix problems and then they carry out work in a efficient way, no mess ever. Also I use them for my rental Properties - all annual services, heating, gas, fire alarms etc - the annual reminders are a useful and they are always timely in scheduling appointment in, great with tenants also. 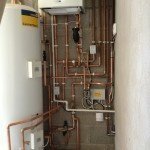 Always deliver first rate professional service and are able to problem solve any installation issues I have in a very Old property. Also used for buisness installation and will be using again when more work is needed as they have gone above and beyond with customer service. Highly recommend this company. I obtained the details last year of this firm from Which? Trusted Trader. From the first contact to completion of this piece of work (the third carried out), the prompt, efficient and courteous service has been refreshing. 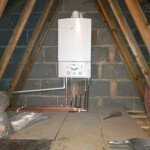 I have been a customer of Pass and Totterdell for the last 5 years, they offer a very professional plumbing service and have undertaken work for me ranging from installation of new high quality boilers to fitting a toilet seat. It really doesn't matter how big or small the job might be, they are responsive and if unscheduled repairs are required they always respond and resolve promptly. They also offer an excellent landlord/tenant service and are trusted with key holding for landlords like myself. I would have no hesitation recommending Mark and Geoff’s company for all of your plumbing needs. Without sounding like a cliche they most definitely go the extra mile. Thank you Mark. Pass and Totterdell carried out work on the property we used to rent which is why we chose to use them again on our own home. They came most recently to fix a number of problems including replacing the stop tap and resealing the whole shower. The lady on the phone who booked the appointment was really helpful and they were able to see us quickly. The chap who came out was punctual, helpful and informative. He completed all the jobs we had in just a few hours and at such a reasonable price. We've already asked them to come out again to fix another problem! Would highly recommend. 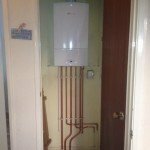 After another gas engineer had failed to fix my boiler problem, Pass & Totterdell sent out an engineer at short notice and during a busy period in order to help me. The engineer correctly diagnosed the problem, enabling me to fit the replacement part (he was unable to do it that day due to other urgent call-outs). Fast, efficient and professional service that was much appreciated. Prior to quote, Geoff Pass gave much appreciated excellent advice freely - eg pointing out reasons why we should have one type of radiator over another. There was certainly no hard sell, just sensible informed advice. Once agreed, all the work was started exactly when stated and completed in a very timely manner. 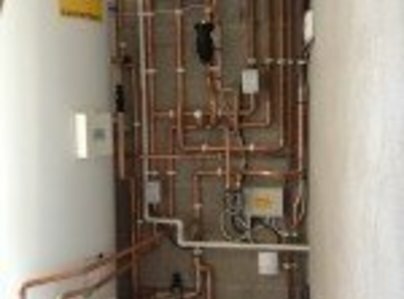 The fitters worked hard, virtually non stop from beginning to end each day and were as tidy as they could be. Resulting rubbish was collected just a couple of days later. 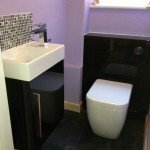 After this experience, I'm very pleased to have found a reliable, friendly and obviously expert team and I would have no hesitation in using them again. I would, without a doubt, recommend them to friends and family.